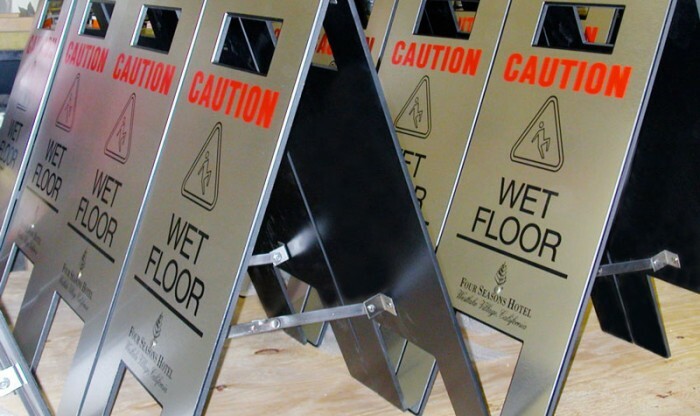 These WET FLOOR signs are made completely in USA (both parts and assembly). They have a heavy duty chain for durability and stability. 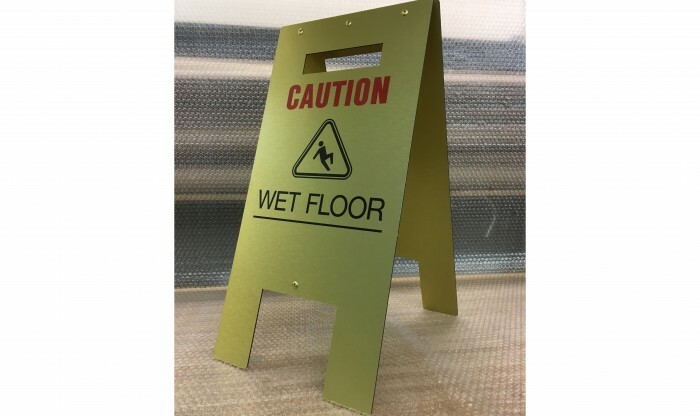 Durable direct transfer lettering. Logo option at no additional charge. We sell to very high end clients, and we believe ours are the most attractive on the market. 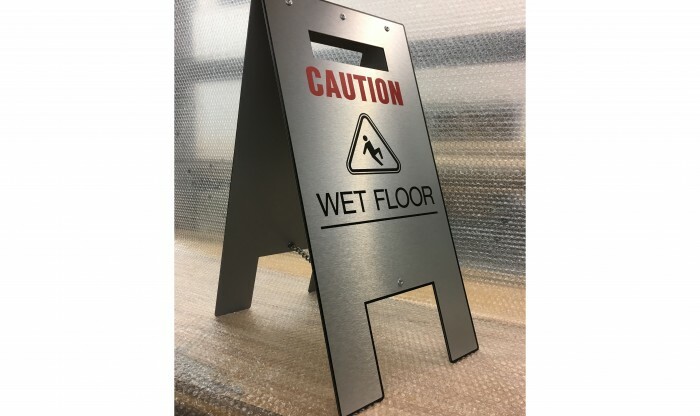 The signs are available in Brushed silver, or brushed brass (price is the same for all finishes). 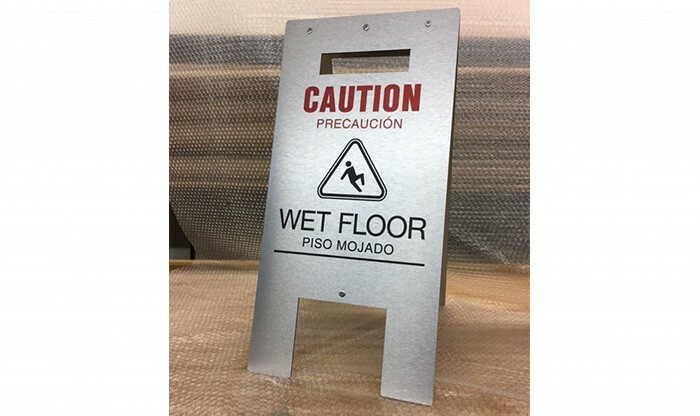 Signs available in English and Bilingual versions.